Access Starting point: Málaga can be reached by the Autovía Del Mediterráneo, the Mediterranean motorway following direction east-southeast. There are motorways leading from the north towards the Antequera region and the rest of the capitals of the Andalucían provinces: the A-45 and AP-46, passing through the Puerto de las Pedrizas. Coming from the Guadalteba and Serranía de Ronda regions, take the A-357 direction west. 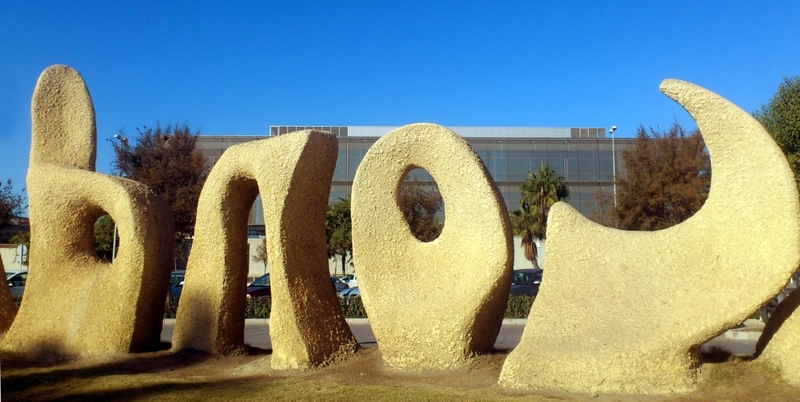 Starting point: Kilometre Zero at the Paseo Maritimo Antonio Banderas in Málaga. Enjoy the walk safely: gers. 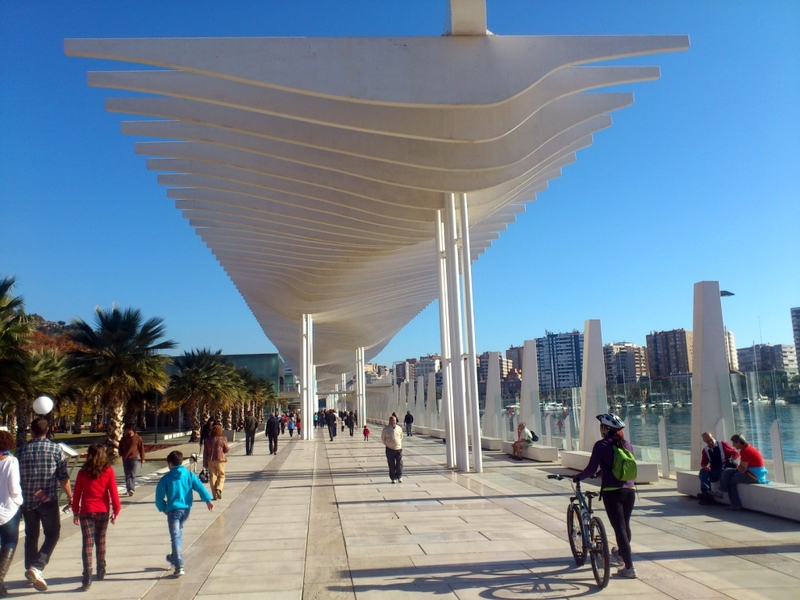 All stream crossings are done using bridges; pedestrians have the right of way on the various “Paseos Maritimos”, the beach promenades. Normally you should not have any problems getting drinking water; there are some public drinking fountains available on the way. As you leave the El Palo beaches behind, you are walking along the shoulder of the N-340, which is narrow especially if you encounter a cyclist, which is a possibility. Finally, the cultural landmark, Las Palomas watchtower at the Acantilados del Cantal cliffs, has no protective railings (at the time of writing this guide). There is a steep drop on the southern side of the tower. Take extreme caution while taking pictures. 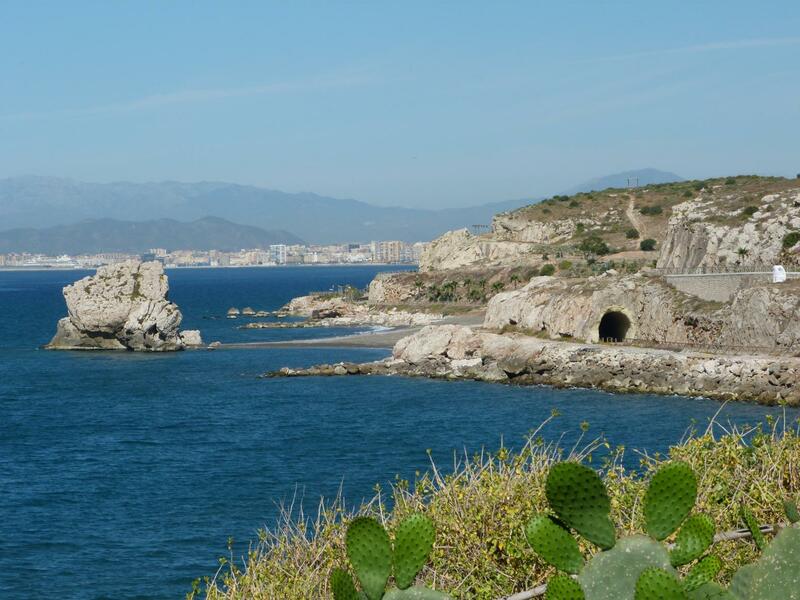 Access to finish point: Rincón de la Victoria is located between the N-340 coastal motorway and the A-7S ring road. Here the MA-24 branches off in the direction of Rincón de la Victoria or La Cala de Moral, the latter marking the end of Stage 1. 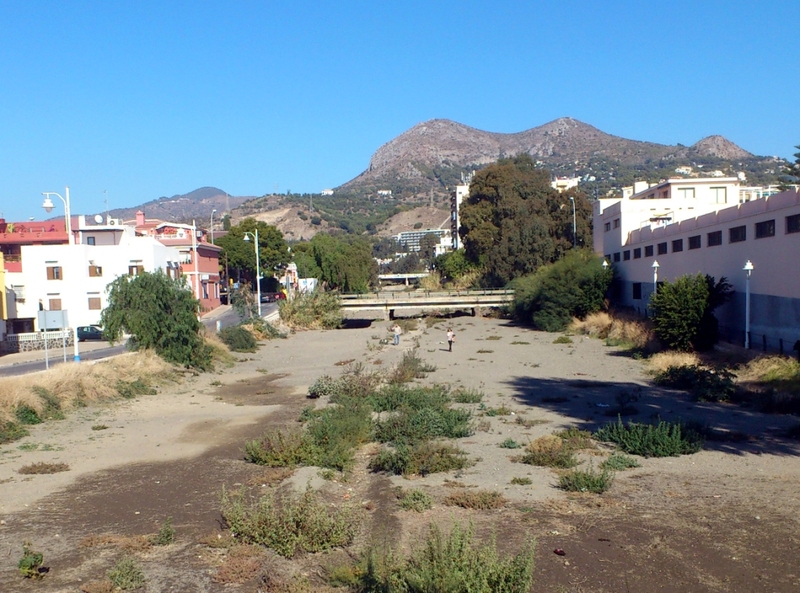 Finish point: Bridge over the stream in La Cala del Moral, a town in Rincón de la Victoria. Possible "escape routes": At all times it is possible to abandon the itinerary and head straight down towards the N-340 using any of beach access roads. The N-340 is a coastal road which offers intercity bus stops and other city services. Point of no return : You are close to being halfway through Stage 1 in Los Baños del Carmen. Considering the many possible “escape routes” before you reach Los Baños del Carmen, it is reasonable to keep walking from this point rather than trying to return. Connections to other footpaths and trails: The GR-92 or E-12 (Senda del Mediterráneo) runs in stages through the Province of Málaga, and one of those stages, about 167 kilometres long, leads through this area. 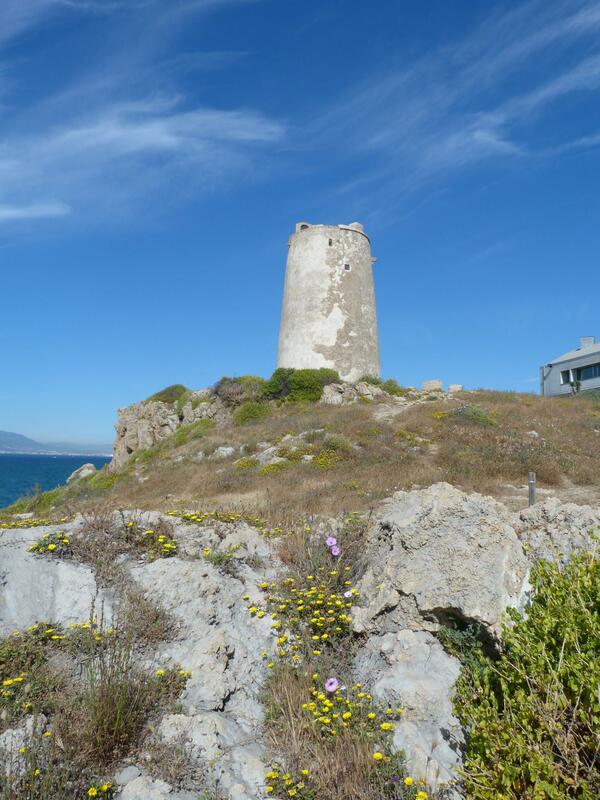 The part which coincides with the GR-249 starts at El Arroyo Totalán and ends at the famous Málaga lighthouse. Logically, the waymarking of the Malaga province GR takes you in the opposite direction to the GR-249. The capital offers a couple of useful Pequeño Recorrido (PR, short distance) footpaths which give you a good idea of the hilly countryside around you. One of them is the PR A-114 Ciudad Jardín Puerto de la Torre, 17 kilometres long, one way. The path was adapted in 2012 and it starts in the city. The start and fi nish points are connected by the city bus network and both points connect with the GR-249. The PR´s attractions include unusual views of the city and the Agujero and Limonero Reservoirs. 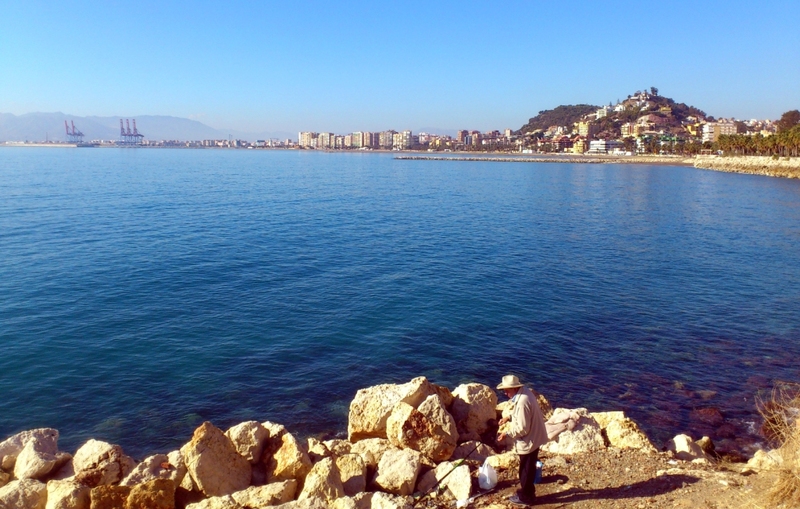 At km 4.3 of the main itinerary, at the level of the Málaga Port, there is another public walk, the A-119 PR Sendero del Mirador. It begins at the Ayuntamiento (City Hall) an is somewhat longer, about 26 kilometres, also it is a bit more demanding than the previously mentioned PR as it leads up to Montes de Málaga. 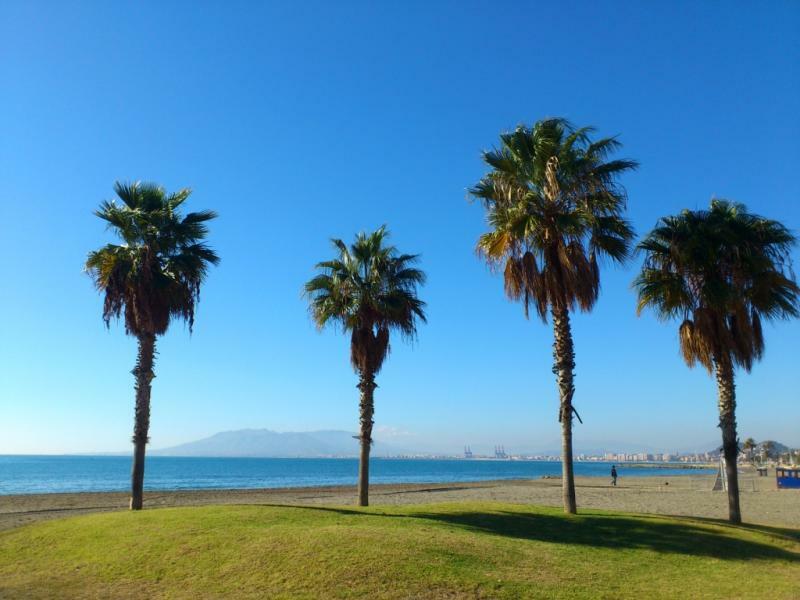 This walk is appealing because of the sea views over the Mar de Alborán, the opportunity of walking up to the Parque Natural de los Montes de Málaga and the descent amongst the old mills through the valley of the Arroyo de Jaboneros. After 10 kilometres of walking, in the delta of the Jaboneros Stream, the PR and the GR connect again. There are a couple of important historical references which should be mentioned. There used to be two ways to travel east out of Málaga which faced many construction diffi culties due to the mountainous nature of the east coast. 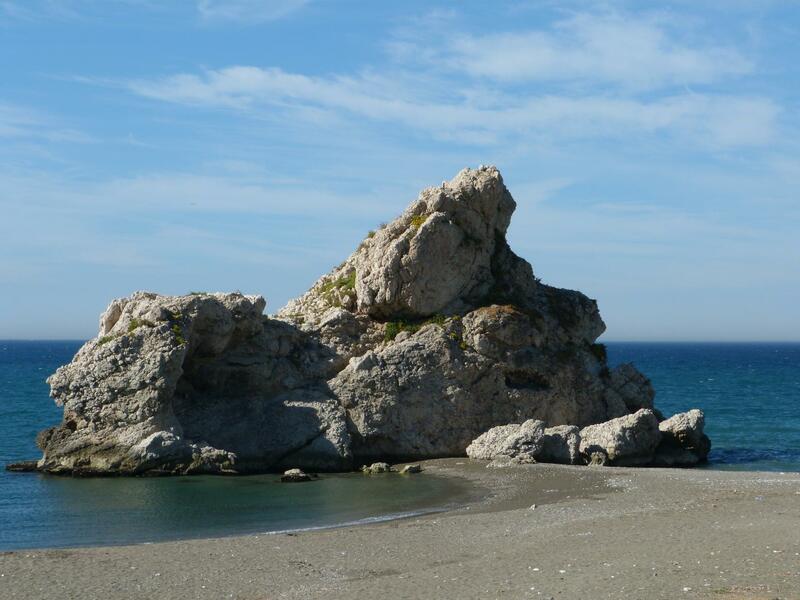 One was the Carretera de Almería, a scene of bloody historical events in the past, as referred to by a quite vague information panel found between El Puerto del Candado and El Peñon del Cuervo. The other was the Tren Litoral, coastal train which led out of Málaga, ran along the coast through tunnels and across bridges and then climbed to Vélez Málaga up to Boquete de Zafarraya to continue to Granada Province. 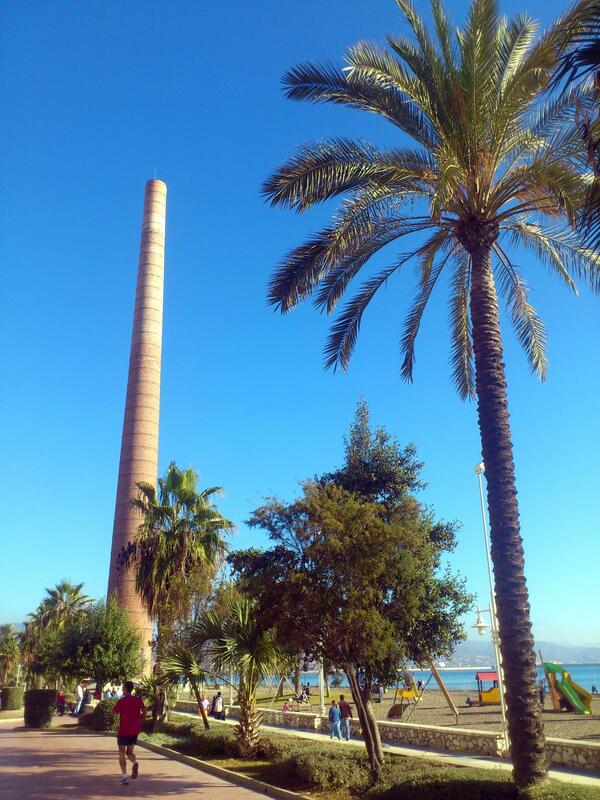 The train line was built by the Suburban Railway Company of Málaga at the beginning of the last century. The old station of origin was an eclectic two-toned building at the entrance to Málaga port from the Plaza de la Marina. The GR-249 passes this historical building which nowadays houses the Instituto de Estudios Portuarios, and this isn´t the last time the walk will follow the now non-existent train lines.